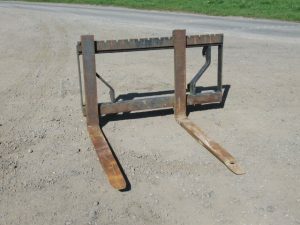 PALLET Tines Pallet tines on EURO brackets. 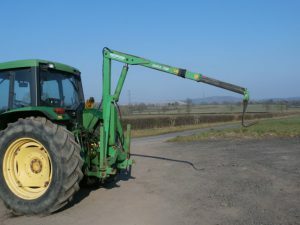 ROOT Bucket Root bucket to fit telehandler; good strong bucket but needs brackets. Pallet Forks Pallet forks on EURO brackets. 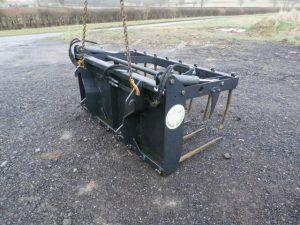 ALBUTT 10ft Buckrake 12 Tine, 10ft buckrake with 3 point linkage and JCB Q fit brackets; 2014. 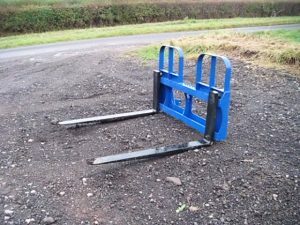 CHILTON MX 5ft Combi Dung Grab 5ft Combi dung grab; 2012; as new. STRIMECH 4 in 1 Bucket 4 in 1 bucket with EURO brackets. RICHFORD 1 Ton Bag Lifter 1 ton bag lifter.